Having covered over 13,000 miles here in South America alone, it is time to say goodbye to my 5th continent and prepare myself for the next leg of my journey. Continent No. 6, country No. 31 and seeing that clock turn to 40,000 miles (nearly 65,000km). Surely the longest ever journey on a 250cc or less! A world record perhaps (application submitted. Lets wait and see)? That's got to be worth a little celebration in Panama (although we are far from done)! Before that though, I have to cross the Darian Gap! Taking a machete and braving the drug lords and mosquito-infested swamp would have been preferable to the brick-wall-bashing week I have had - and it's not over yet! You can't deny the murky past of Colombia. It once supplied 80% of the world's cocaine habit and it is still a major supplier of not only cocaine, but cannabis and heroin as well. At one point the government effectively lost control of the country to rebels due to the lucrative return from kidnapping and drugs. The fight went on for decades with names like Pablo Escobar becoming worldwide household names. Colombia was home to some of the most violent and sophisticated drug traffickers in the world. There is no wonder people are still nervous of visiting Colombia. 16 months but who's counting! I made this video a couple of weeks ago but couldn't upload so it's a little late. The upload quality is awful on full screen mode due to the way I had to upload so best leave it small! 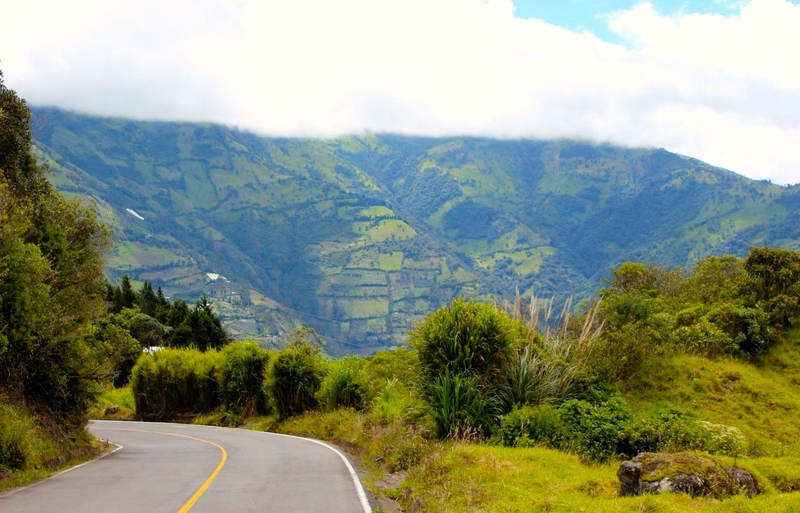 Crossing the border into Ecuador meant cheaper fuel and quieter roads. That had to be a bonus. I also found to my surprise that more people spoke English than anywhere else I had encountered so far in South America. Even the local shop keeper was eager to help when I was trying to remember the Spanish word for eggs. As I spoke to myself saying “Eggs. What the hell is eggs in Spanish again?” he turned around and offered “huevos”! I laughed and said “Si huevos”. We then had a simple but very nice chat in English before he helped me with the rest of my shopping and threw in some complimentary Ecuadorian sweets to try later!